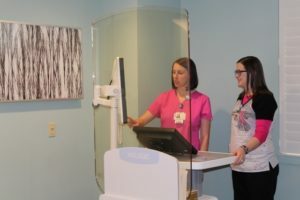 The purchase and installation of new 3-D breast imaging technology means NW Kansas women drive fewer miles for better healthcare. A grant from the Hansen Foundation assisted in the purchase of the new equipment. With the 3D mammography equipment, Radiologists are viewing a better image which allows them to more accurately pinpoint concerns. This has a huge impact on patients as we are able to more accurately diagnose at an earlier stage and potentially save lives. In addition, keeping patient close to home is an economic boost for the area.